“Be afraid. Be very afraid.” That what reporter Veronica Quaife said to Seth Brundle as it became apparent that his teleportation experiments were going horribly wrong in the 1986 movie The Fly. It’s also the words that came to mind when I read this Weekly Standard article. It wasn’t that long ago that the mainstream media news was dominated by the almost certain default of Greece. Economists were worried about the effects that would have on the European Union and world economies. It wasn’t only Greece; Spain, Portugal, and Italy were suspect, too. Collectively known as PIGS, the economies of the four countries were deemed to be in terrible fiscal shape by the EU and IMF. For years, Greece had lived well beyond its means. Public spending had skyrocketed. High tax rates had caused rampant tax evasion. It’s citizens had grown accustom to being benefactors of a generous governmental largess. When the global economic downturn struck, Greece wasn’t prepared. It’s debt levels had reached a point where it could no longer repay it’s loans. It needed help or it would crash and take others down with it. The Greek government was pressured into spending cuts, governmental salary cuts, and tax revenues hikes before receiving almost 1/4 of a trillion Euros in emergency loans to keep the government from defaulting on it’s debt. It’s easy to sit back and chastise Greece for getting itself into this situation. America has for years told troubled countries that they were doing it all wrong. With the assistance of the IMF, America has pressured other countries into enacting strict austerity measures in order to receive much-needed assistance. For example in 1997, Korea needed a rescue package after it’s economy reached the brink of disaster due to a variety of internal and external factors. The IMF required drastic economic reforms including reducing governmental spending, allowing banks to fail, and aggressively raising interest rates. Note: This is exactly the opposite of what the U.S. did when faced with a tough economic crisis of it’s own just a few years ago. The U.S. decided to spend it’s way out of the problem by lowering interest rates and bailing out banks and manufacturers. Is it any wonder that many countries around the world consider the U.S. a big bully? Back to the Weekly Standard article. According to IMF estimates, America’s total debt will reach $16.8 trillion by the end of 2012. That’s an astounding, mind-boggling figure. In a recent post, I shared a couple of examples of what a trillion is. How much is a trillion? If you stacked 1 trillion 1$ bills on top of each other (not end to end but stacked them like you would in your wallet) the resulting stack would be nearly 68,000 miles high. That’s almost 1/3 of the way to the moon! According to the Senate Budget Committee, the U.S. debt equates to $53,400 for every man, woman, and child in America. A family of four’s portion of the debt is over $200,000. Compared to Greece, who’s per capita debt is $39,400, the U.S. debt is 35% higher than that of the troubled Grecian economy. 35% higher! And the problem is getting worse, not better. The disparity has grown by $8,400 per person since the beginning of 2011. This is frightening to be sure. But being scared will not help. Being immobilized with fear or concern will not accomplish anything. Nor will sticking your head in the sand. First, let your Congressional representatives know that you are concerned. No household in American could operate the way the federal government operates. No business would last if it operated the way Washington is running the country. Let your Congressman and Senator know that you expect them address this. We sent them to Washington to do hard things. Fixing this mess won’t be easy, but we expect them to try. The second thing you can do is to financially prepare for the future. The nation is acting fiscally irresponsibly but that doesn’t mean you should follow it’s lead. Get your financial house in order and get out of debt while you can. Pay down any credit card debt you may have. Create a nest egg of savings that you can drawn upon if needed. If you haven’t already done so, create a budget and live by it. Change your spending and buying habits to save money. 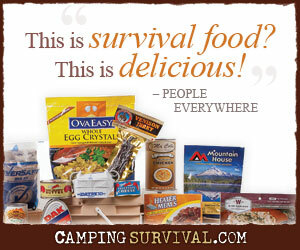 Many in the prepper community believe that a collapse is imminent, that the U.S. has already reached a tipping point and there is no way to right the ship now. That may indeed be the case; I don’t know. But I do know that I can prepare for tough times ahead by store supplies for the future. Buying the “beans, bullets, and band-aid” while I can and saving them for a rainy day. I can learn new skills as well. Even if you don’t have a lot of extra money, there are things you can do to prepare for the future. Not long ago I posted 18 Low-Cost Ways to Start Prepping, that’s a start. But I’m sure there are other things you can do as well. So, what do you think? Are you concerned with the direction of these United States? Are you preparing? Yes! Finally someonbe writes about 2012 olympics swim. that you know, the void because it’s the first I’d come to these subtleties.